There has been an explosion in the amount of composted animal manure being spread on cropping and pasture paddocks in the last decade. But effectively using these high organic matter products requires an understanding of crop nutrient requirements and the transition from organic to inorganic forms of major nutrients. Composted feedlot manure is being increasingly used for improving both soil health by adding labile carbon as well as a slow release nutrient source. The one-way traffic of nutrients from cropping land to the cities is arguably the most significant barrier to sustainable farming in Australia. 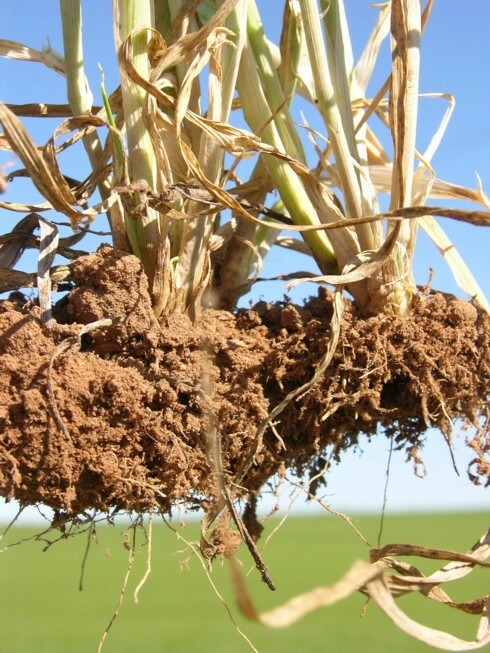 Until a significant portion of the nutrients in food starts to make its way back to the soil that grew the crops that made the bread or fed the cows, our farming soils face a bleak future as the background nutrient levels are mined away. Organic manure products have become increasingly popular and a wide variety are available, most of which enter the high-value landscaping market rather than returning to feed our cropping soils. Composts, manures, biosolids and some food processing residues are the only high nutrient analysis organic products that are available for broadacre application. Angus Johnston is Compost Australia’s National Project Manager. He says only about 20 percent (or 4 million tonnes) of Australia’s urban organic residues are being recycled into composted soil conditioners and mulches, although this figure is growing rapidly. Less than 5 percent of it is returned to agricultural soils. Cattle feedlots produce a mountain of manure at a rate of 1-2 tonnes per head per year, totalling about 1.3 million tonnes Australia wide. In the last 10 years several companies have entered the compost manufacture industry helping to convert this waste product into a valuable soil conditioner and fertiliser for agricultural applications. The authors of the ‘Compost Industry Supply Chain Industry Position Paper’ estimated that less than 5% of the total agricultural residue is composted with most being spread in its raw form. The total of 3.6 million tonnes is similar to the total urban production of compostable material. Bagasse and dairy effluent were not included in these estimates, table 1. Source: ‘Compost Industry Supply Chain Industry Position Paper’, 2005. Manure from cattle feedlots and chicken farms are usually mixed with high carbon content material such as straw, cotton gin waste or wood chips to facilitate aerobic composting and reduce odour. If this is not done the high bulk density and its lack of larger, structurally stable components, can lead to anaerobic conditions, which cause odour (e.g. hydrogen sulphide) and methane emissions, and the low carbon to nitrogen ratio of manures can result in nitrogen losses through volatilisation (ammonia). Manure contains nitrogen, phosphorus, potassium, sulfur, carbon and many trace elements that are needed for plant growth and so is a useful organic fertiliser, table 2. Table 2 – Typical composition of cattle feedlot manure stored in stockpiles at a number of Southern Queensland feedlots, expressed on a dry matter basis (Powell, 1994 data). *Gardner et al (1994). Source: ‘Reference Manual for the Establishment and Operation of Beef Cattle Feedlots in Queensland’, DPI publication, 2000. During the composting process micro-organisms consume a portion of the carbon, releasing some as carbon dioxide and incorporating some into their own bodies. The C:N ratio is reduced from around 25:1 to around 10:1. Some ammonia is released into the atmosphere but because the volume of material is reduced the percentage of nitrogen remaining is similar to that found in raw manure. Less ammonia is lost if a high C:N material is mixed with the manure and so binds more nitrogen with the carbon. Like nitrogen, the non-volatile nutrients – phosphorus, potassium and sulfur – increase in concentration due to the reduction in volume of the composted material compared to the raw manure, although there is potential for these nutrients to be leached out of compost. As a rule of thumb about 15% N, 40% P and 80% K in compost is available (that is in an inorganic form) in year one according to Johnston. Because the inorganic forms of N are the only forms available for plant uptake, mineralisation of organic N by soil microbial action is required before the majority of the manure N becomes available for plant uptake. Mineralisation of organic N is a gradual process which proceeds over a number of years. Consequently, if manure is applied at a constant annual rate over an extended period, the cumulative proportion of inorganic manure available for plant uptake gradually increases. The proportion of the annual N application which is mineralised increases from 35% in year 1, to 55% in year 5, to 65% in year 10, to 79% in year 20. All P and K becomes plant available during the first two or three years. By year 10 compost is almost completely mineralised, except for some stable carbon components. In the meantime compost also stimulates the release of nutrients in the ‘unavailable store’ in soils. Raw manures mineralise more rapidly than ‘stable’ composts and so release their nutrient load more rapidly into the soil. Both manure and compost will ‘feed’ the microbes that do this job. The proponents of compost application claim that the slow, more controlled release of nutients is more beneficial than the more rapid breakdown of fresh manures. Those who advocate manure application point to the benefits of the manure being broken down ‘in situ’ rather than in a composting pile where about half of the carbon is lost before it is applied to the field. destroys compounds that can inhibit seed germination and plant growth. Raw manures from stockpiles at feedlots are often of variable moisture content, lumpy and hard to spread evenly. This problem is reduced if the manure piles are screened. Composting the manure produces a much more consistent product and farmers are able to reliably calculate application rates to meet crop requirements. Because of the role the manure or compost plays in the release of nutrients in the soil, it may be beneficial to ‘kick-start’ the nutrient cycling with a large application of compost and then to apply lower rates in subsequent years. Queensland Primary Industry and Fisheries (QPIF) research into manure application suggests varying annual application rates to more closely balance crop requirements over time. This involves applying significantly higher rates of manure during the early years and gradually decreasing annual manure application rates over time as the amount of mineralised N in the soil increases. Johannes Biala, Director of The Organic Force says the same applies to compost use. “The higher the organic matter, or humus, level in the soil, the more organically bound nitrogen there is that can be mineralised and made available for plant uptake each season,” he says. The QPIF research also highlights the possibility of overloading soil with phosphorus and salts if manures are applied to meet the nitrogen requirements of crops. Table 3. 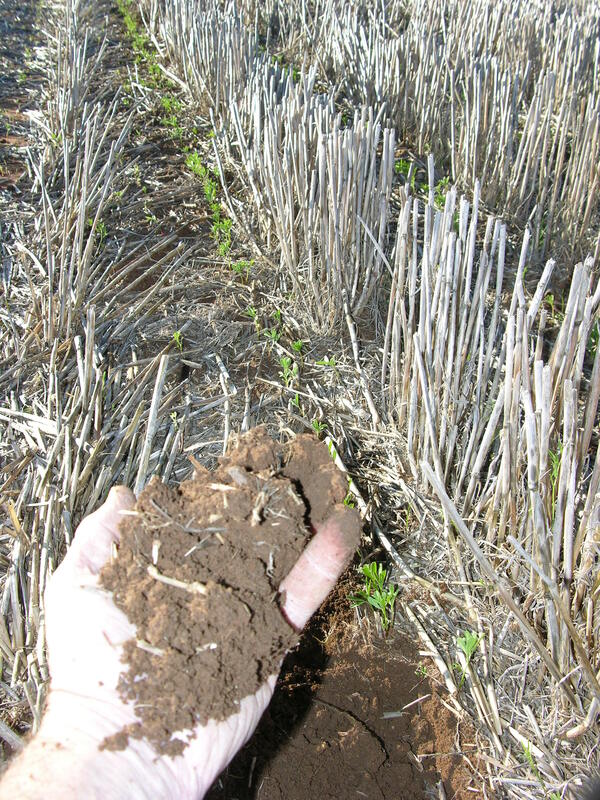 Nutrient removal and indicative compost application rates to replace these nutrients for a range of Queensland crops and forages. The figures for grazed pasture assume an annual live-weight gain of 150 and 200 kg/head/yr respectively, and a stocking rate of 2 ha/head. # Extrapolated estimates based on QPIF nutrient removal data (‘Managing effluent and sludge’ www.dpi.qld.gov.au) Note the last two columns are are extropolated from DPI data using the assumptions shown? Johnston suggests farmers consider the purchase of compost primarily as a soil conditioner that comes with a significant nutrient bonus. 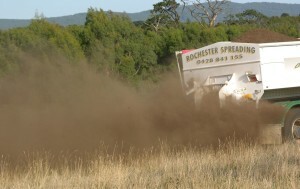 “Compost application must be viewed as a long-term investment in your soil – not a quick fix response to the fertiliser price hike,” he says. Pasteurised – pathogens and weed seeds destroyed. pH between 5 and 8. C:N must be less than 20:1 to prevent nutrient tie-up when compost is applied. Seek advice about the level of soluble salts. High EC (electrical conductivity) may indicate high nutrient content or high sodium and chloride levels. Ask your supplier not only for total nutrients, but also how much NPK is ‘plant available’ and so able to meet crop needs immediately. Also find out how much ‘total’ NPK is available for release in subsequent years. Products with high organic carbon levels are better able to enhance soil properties than those with lower levels. Moisture content 25-35% by weight, so the product spreads easily without excessive dust. Screened to a consistent size, no rock or other impurities. The best quality compost will have organic compounds called humates, mainly humic and vulvic acid, which will form part of the soil humus. Humates are difficult to measure in lab tests but easy to recognise in the field. Grab a handful of the compost and if you can press it into a ball and it leaves a fine, slightly oily film on your palm it contains sufficient humates to perform well in any soil. Cindy Benjamin is a freelance agricultural journalist, to contact her visit www.cabenjamin.com.au . This article was written in 2009 and is copyright. Compost Australia www.compostforsoils.com.au ; ‘Reference Manual for the Establishment and Operation of Beef Cattle Feedlots in Queensland’, DPI publication, 2000.